Mayor Crombie attended the grand opening of global technology company Cognizant’s new Mississauga facility on West Credit Avenue. “As Mayor, I’ve made it a top priority to foster and attract innovative businesses like Cognizant to our City and support them so that they can scale-up and thrive. Too often, Mississauga is left out of the discussions about the so-called ‘innovation corridor’ that stretches between Toronto and Kitchener-Waterloo. I’m here to tell you, Mississauga is an important destination on the corridor,” said Mayor Crombie. Cognizant, a Fortune 500 company, is one of the world’s leading technology and business services companies. Headquartered in New Jersey, Cognizant works with major companies in industries from healthcare to banking and others to help them transform their business, operating and technology models for the digital era. With over 260,000 employees globally, Cognizant’s unique, industry-based, consultative approach enables the world’s leading companies build and run more innovative and efficient businesses. “Mississauga is an important hub for our Canadian operations. The Mississauga/Greater Toronto region is home to many of our Canadian clients, including the country’s leading banks, major insurance companies, and retailers,” said Allen Shaheen, Executive Vice President, North American Regional Delivery Centers, Cognizant. 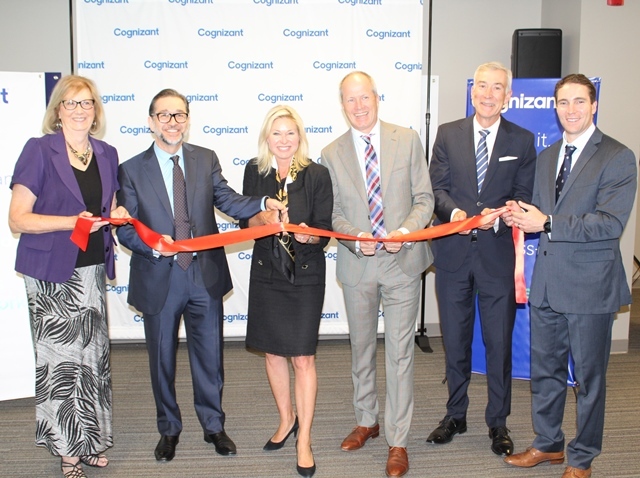 Cognizant’s new 50,000 square-foot technology and services delivery centre in Mississauga will initially house 400 employees with plans to expand to accommodate another 200 employees by the end of 2018. 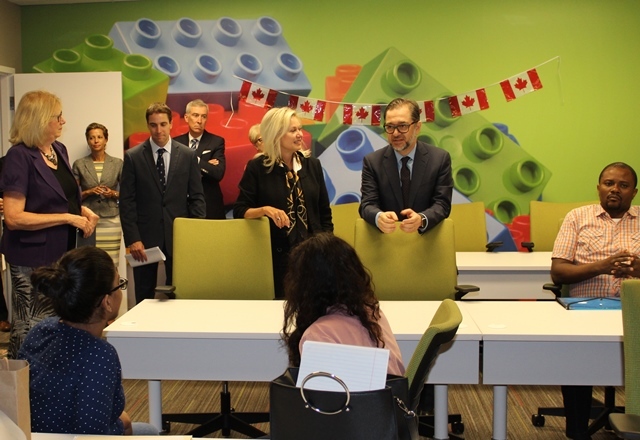 With training rooms, a digital lab, a delivery center, and a co-innovation space, the new Mississauga facility will allow Cognizant to work alongside clients to build and deliver specialized technology and industry-specific solutions. Mayor Crombie’s initial meeting with Cognizant representatives to discuss Mississauga’s value proposition was facilitated last year by Toronto Global and the City of Mississauga’s Economic Development Office. “Today’s investment is a testament to Mississauga’s strong position on the innovation corridor and the attractiveness of our city to businesses. Mississauga is home to a highly skilled and highly talented workforce. Cognizant will be the 74th Fortune 500 company to join team Mississauga, and I’d like to thank them for not only investing in our City but investing in our people. I look forward to the hundreds of jobs that Cognizant will bring to our City,” added Mayor Crombie. Cognizant is also teaming with Seneca College to provide a new technology training program aimed at enhancing skills for current IT professionals, and building skills for students and other individuals interested in pursuing technology careers. The program is expected to launch this fall with classes offered at Seneca College at no cost to qualified participants. Cognizant’s investment in reskilling initiatives is intended to expand local businesses’ access to more qualified technology workers, as well as providing additional jobs and career opportunities for area residents. This entry was posted in Carousel News, News. Bookmark the permalink.